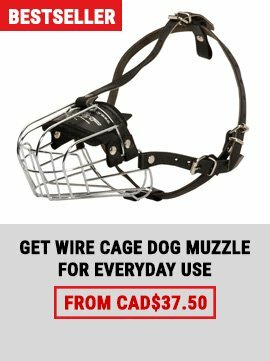 Dog-muzzles-store.ca wants you to be happy with your new purchase. If you are interested in shipping cost or have decided to return an item/items, we are here to help you. UPS - time of delivery 1-5 business days once an order is shipped (not including holidays and weekends). Please note that some items may take more time to be ready for shipment. Most of our orders are shipped with this delivery method. Please also see the note below. EMS - fast air delivery worldwide (the USA and outside the USA) from our factory directly to your door. On average 3-5 business days in transit (not including holidays and weekends). For our US Customers orders are shipped with USPS. Dear Customers, please be advised that the USA orders are shipped with UPS or EMS if it is a fast air delivery method. Orders to other countries of the world we ship with EMS (fast delivery method) or with Registered (slower delivery method). After shipping your order, we will update you with a tracking number by email. So, please, check your Inbox as well as Spam/Junk box. If you don't receive any information from us within 3-4 business days, please feel free to contact us via email, online chat or phone. The price charged for the shipping of your order depends on the total price of products, and your location. Please note! The shipping costs of some orders may vary. In such cases we will contact you and inform about the final shipping price for your approval. When placing your order, before the final checkout page, you will see what the cost of the shipping will be, so you can decide if the price shown satisfies you. The total price of your order is $55. If your order is shipped with Registered delivery method, then the charge for the shipment will be $18.99. In case your order is shipped with USPS air delivery method, you will be charged $27.95 for the shipping. The measurements of your dog: (neck circumference (close to the base of the body) + chest size (around the chest behind the front legs)). The most efficient way to reach us is to contact by email, but we will be happy to help you over the phone as well. All items (except close-outs and custom made products) are returnable within 21 days after delivery. Customers are required to pay additional shipping for exchanges. All returns and exchanges are subject to a 10% restocking fee unless the item/items is/are defective or the order was improperly filled. 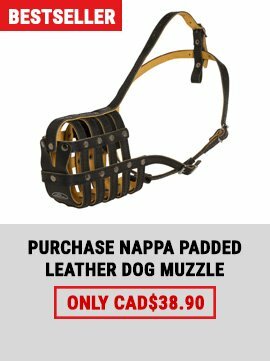 1) Free shipped items, bite sleeves and other heavy weight items (bite suits, bite jackets, jumps, etc.) - are subject to a $25 fee or more per each item when returned. 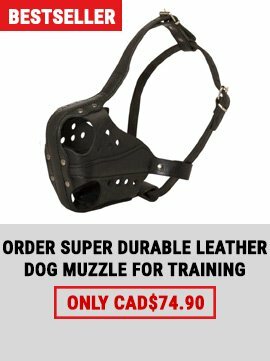 2) There are some items, however, that are ineligible for return/exchange, including: collars and harnesses which were made up to custom size request.